If there was an Oscar for the most belated ‘Best of 2016’ list, I think I would take the prize. Here I rank every 2016 film I saw this year from best to worst. Enjoy! With the remakes and reboots that have plagued our cinemas recently, finding an original, witty script with great comedic performances was an absolute highlight of my year. New Zealand director Taika Waititi’s wacky adventure comedy has both humour and heart. 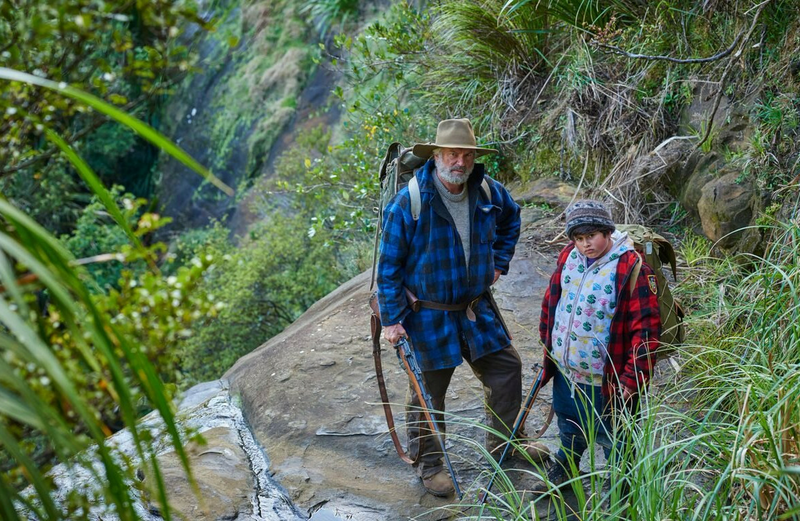 Faced with an unloving foster system, Ricky Baker (a scene-stealing Julian Dennison) choses instead to elope into the wilderness, accompanied by his foster-dad Hec, a curmudgeonly Sam Neill. Their escapades through the bush are comic gold, exhibiting a distinctly New Zealander sense of humour. Stunning shots of the New Zealand wilderness are complemented by a wicked soundtrack. Waititi writes and directs with an exceeding amount of wit, winning the award for the best director cameo of the year. The script is endlessly quotable, and the performers nail every punch line with understated skill. Dennison thrives as the badass youth (#skuxlife), and has great chemistry with ‘Uncle’ Neill. Rima Te Wiata and Rachel House have some strong moments, while Darby almost steals the show in his brief turn as ‘Psycho Sam’. Hunt for the Wilderpeople is such an entertaining film that I now have plans to visit all of Taika Waititi’s work. And, although I’m not a superhero films person, I am now pretty excited to see Thor: Ragnarok, which recently wrapped up filming here in Australia and will be hitting cinemas in 2017. Basically, Hunt for the WIlderpeople is a funny and heart-warming story about family and adventure, better than a predictable Hollywood comedy any day. Hell or High Water and Hunt for the Wilderpeople are not just my top movies of 2016, but my most underrated ones. Tonally, the film is a pastiche of Thelma and Louise meets No Country for Old Men with a splash of Blues Brothers. Two brothers, part of the white trash underbelly of American society, rob a chain of banks, hunted by gruff yet canny retiring Texas Ranger (Bridges, who is Oscar Nominated for his role). The fraternal chemistry between the brothers is fantastic. Pine’s morally steadfast Toby adds complexity to the deplorable criminal trope. His heartfelt interactions with Foster’s wild ex-con prevent us from demonising these likeable fugitives. The cinematographer Nuttgen artfully captures the arid Texan landscape. Director Mackenzie sustains tension throughout, merging black comedy with fraternal chemistry to provoke reflection on the complex nature of criminal morality. Spotlight is a rare film that powerfully relates real-life events without sensationalising them. It recounts the engrossing true story of how the Boston Globe newspaper uncovered the widespread molestation of children within the local Catholic Archdiocese in 2002. Interviews with victims give a compellingly human face to the shocking statistics proclaiming the widespread nature of these predatory abuses. McCarthy’s directing is subtle intensity at best, artfully evading melodrama through restrained manipulation of music and cinematography, coupled with forceful yet realistic performances. The ensemble honours the committed journalists of the Boston Globe with powerful, captivating performances. McAdam’s Sacha Pfeiffer brings a sensitive compassion to the all-male cast. Keaton, d’Arcy James, Schreiber and Tucci all give fine performances in this ensemble, Although Ruffalo’s passionate Mike Rezendes feels slightly overbaked. Takayanagi’s cinematography is understated brilliance, building tension through slow zoom-outs and conveying meaning through brief, yet telling moments. A worthy winner of Best Picture at last year’s Oscars Spotlight is an understated yet gripping film. Brooklyn is a wonderfully realised period piece that strikingly explores the distinct worlds of Ireland and America in the 1950s, all the while reflecting upon the universality of the migrant experience. After migrating to Brooklyn in 1952, Eilis, torn between Tony (Cohen) a driven and caring American-Italian boy, and Jim, a polite, respected Irish boy (Gleeson), must decide where her heart lies. Although this synopsis may portray Brooklyn as a typical love- triangle romance, it’s so much more than this. The film is about Eilis’ personal experience as she attempts to adapt to a new and foreign country. It explores her inner conflict as she tries to balance homesickness and loyalty to her family with opportunity, education and the chance of a new life in Brooklyn. This film brilliantly navigates the emotional tension, which feels sincere but not overtly sentimental. Hornby’s adaption of Tóibín’s novel doesn’t emblazon Eilis’ emotional turmoil, but relies on the cinematic medium to skilfully express it through editing, cinematography, and Ronan’s profound performance. Arrival is both a visual and an auditory thrill of a film with an unfortunate pacing problem. 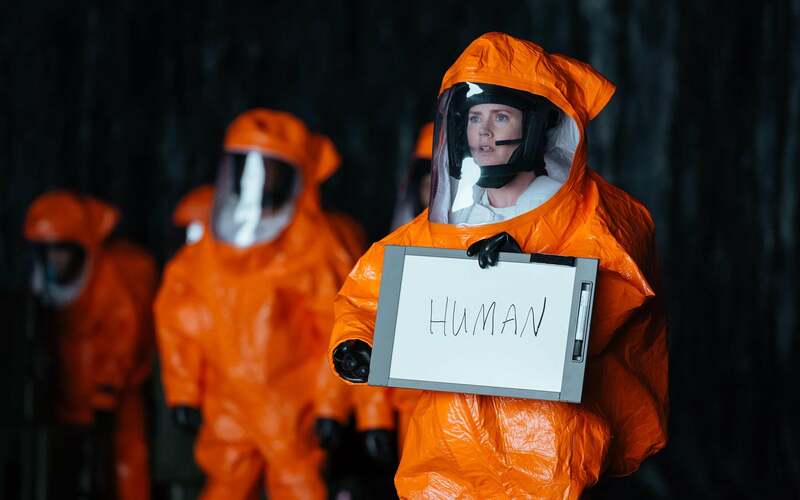 When ambiguous alien pods make a dramatic arrival on earth, expert linguist Louise Banks (Amy Adams, in a subtle yet compelling performance) is called in to translate their intentions. Denis Villeneuve, known for the thrilling Sicario, here produces an intelligent and engaging sci-fi entry. In a favoured change, the Aliens are dealt with using brains, not brawn, and the only weaponry used here is the looming threat of military action by other countries. The script plays with the fluidity of time in a thought-provoking way, with a tense, albeit mind-aching finale. Ultimately this ambitious climax is too convoluted to be fully effective and this, combined with an indulgently unnecessary length, is where Arrival becomes an excellent film, but not a masterpiece. Watching Mustang was one of the most profound cinematic experiences I had this year. It’s for this reason that I’ve ignored the fact that it’s technically a 2015 release and included it anyway. Mustang is a softly compelling film about what happens when cultural sensibilities impede upon individual freedom. Oscar nominated, it deals with the heart-wrenching consequences when ‘scandalous’ schoolgirl frivolity transforms the home of five Turkish sisters into “a wife factory”. Each of the young girls deliver touching, naturalistic performances, led by the fiery youngest Lale (Günes Sensoy). Despite its Turkish language, director Deniz Gamze Ergüvenartfully evokes empathy for these vulnerable and helpless girls in a way which transcends language. The film conjures up a powerfully bleak image of the girls’ confinement. However, it also revels in the short joyous moments of youthful freedom that the girl’s occasionally experience. Whit Stillman’s adaption of the little-known Jane Austen novella Lady Susan is an intelligent and well-timed novella, with all the energy and verbosity of Austen’s novels. Recently widowed Lady Susan (Kate Beckinsale) visits her aristocratic in-laws with ambitious schemes of husband-hunting, seduction, and generally scandalous behaviour. Beckinsale is a brilliant Lady Susan, with razor sharp wit and devilish charm. Although neglected from the competitive Best Actress nominations, she ranks as one of my top performances of the year. The upper-class sensibility of the ensemble breeds some excellent comic moments. Tom Bennet steals the show as the emphatically awkward and dim-witted Sir James. This isn’t a typical Austenian love story, but an audacious and scandalous social satire in which the gossip and discourse is far more interesting than the happy ending. In Ancient Polynesia, bright-eyed future chief Moana sails out on a quest to save her dying island, accompanied by cheeky demigod Maui. The dialogue slightly overloads on the rhetoric of self empowerment and forging identity. Fortunately Lin-Manuel Miranda’s catchy music makes this cliched message easier to swallow. The storyline’s predictable and plods familiar territory in a journey much like Mulan’s. However, the characters, animation and music makes Moana so entertaining you don’t care. Newcomer Cravalho has an angelic voice and enough sass to counter Johnson’s cocky Maui. Moana bounds along in a feel good Disney flick that leaves you wanting more. Anything written by Aaron Sorkin is worth seeing. My passion for his show The Newsroom led me into this unconventional biopic with high expectations. Instead of trying to plod out the biography of this famous figure, director Danny Boyle has condensed his character into three enthralling product launches, and the inevitable drama surrounding them. 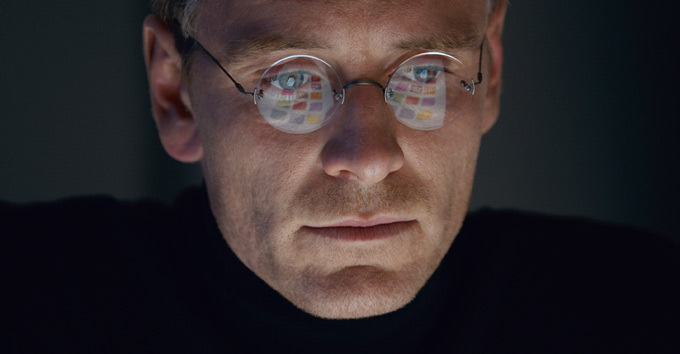 Fassbender’s Jobs reveal an unorthodox thinker and a highly unlikeable man. There is no glossing over the prestige image, here. Waterston gives a powerful turn as Job’s ex-girlfriend and mother of his child, and Jobs’ confrontation with his partner Wozniak (Seth Rogen) is high tension entertainment. ( This iflm left me all the more excited for Sorkin’s directorial debut “Molly’s Game”. Australia’s first Oscar nomination for Best Foreign Language Film is a moving albeit melodramatic romance set in tribal Vanuatu. A Pacific Islander Romeo and Juliet, it chronicles two young lovers who are unable to be together because of tribal conflict and the tradition of arraigned marriages. It was filmed and edited over a fourteen month period by first-time Australian filmmakers Bentley Dean and Martin Butler. The cast, from the Yakel tribe, are fluent in the indigenous language Nauvhal, and, prior to the filmmakers arriving, had never seen a feature film. For first time actors, the cast deliver strong performances, the most powerful from the naïve eyes of the female lover’s young sister, Selin (Marceline Rofit). Like The Lord of the Rings trilogy, the striking natural landscapes are an important character in the story, exquisitely captured by Dean’s cinematography. Eastwood’s take on the ‘Miracle on the Hudson’ is quietly absorbing viewing and Tom Hanks is good as always, however the contrived bureaucratic investigation makes a anticlimactic ending. Satirical black comedy The Big Short is thought an engaging, energetic and thought-provoking retelling of the finance side of the 2008 GFC, which slightly flounder under the weight of just too many plot lines. The best Hollywood throwback of the year, (sorry La La Land). The Coen’s latest is both an entertaining, screwball comedy and a witty reflection on 1950s McCarthyism. A tonally confused mix of teenage rom-com and mind boggling disaster film. Ignoring the random music video interludes, this anime is thoughtful and stimulating, despite its unnecessary length. The extraordinary central performances in Room (Oscar winner Brie Larson and Jacob Tremblay) make this profound, gritty film about maternal love one to remember. Set in the 1988 Olympics, Eddie the Eagle is a charming true story about an underdog who, either bravely or idiotically, became a minimally experienced Olympic ski-jumper. A feel good story with a great soundtrack and uplifting montage. Ultimately, it’s a film with a lot of charm, if not just for the originality and eccentricity of the script. With very funny and nuanced performances, highly stylised design and imaginative storytelling, Girl Asleep is worth a watch, even if it’s just to escape the monotony of another Hollywood sequel or remake. Disney proves its genius once again in a fun yet moving animation that tackles prejudices in an accessible way. For better or worse director Gareth Edwards avoids the ‘Force Awakens’ nostalgia note, instead creating a gritty men-on-a-mission WW2 war movie with beautiful cinematography and a wicked villain in Ben Mendelsohn. One-man movie maker Ivan Sen’s new film is less of a crime thriller and more a slow-burning psychological drama. This quiet realism avoids clichéd dialogue, nicely accompanied by beautiful cinematography. The special effects and production design are unquestionably stunning. Unfortunately the film’s one fault is JK Rowling herself, whose first screenplay is both crammed and rambling. An edge-of-your-seat thriller, led by John Goodman in a masterfully creepy performance as a maybe abductor, maybe saviour, maybe murderer. The leads have excellent chemistry and the music’s not bad, however La La Land is too long and too bright-eyed for my cynical tastes. Ryan Reynold’s smug, sarcastic and smack-talking antihero is a joy to watch as he takes down the clichéd superhero tropes. There’s a lot to love in this Irish musical about some a group of boys who form a band so that the lead can impress his crush. So there’s the list! What do you agree/ disagree with? Let me know in the comments. Great list! I’m glad someone finally agrees with me that “Hunt for the Wilderpeople” was the best film of 2016. The others on your list are also terrific. “Brooklyn” was an amazing experience–so good that I think in fact it heralds a whole new style of filmmaking, though exactly what that is is hard to put my finger on. “Arrival” was excellent too. It was definitely hard to narrow down my top 10- there were so many fantastic films last year. In your top ten, the only film I’ve seen is Arrival, which I found dull and unbelievable. At 19, you finally arrive at Star Wars: Rogue One, a film I’ve seen and thought was excellent. 21, Fantastic Beasts and Where To Find them was good. Then, at 24, Deadpool, another excellent film that rose above the sea of mediocrity that was last year. Films on my top ten list that you missed: #3 The Martian, #4 Doctor Strange, #5 Captain America: Civil War, #6 American Ultra, #7 Suicide Squad, #9: “Jack Reacher: Never Go Back, and #10 X-Men: Apocalypse. For my, Arrival was a bit like Birdman- I was impressed by it but I also found it a bit pretentious (which is why it wasn’t higher on my list). Star Wars and Fantastic Beasts were too long to keep my interest. Deadpool had funny jokes but I was bored by the plot. I really enjoyed The Martian, but it’s technically a 2015 release by Australian standards. Doctor Strange was pretty awful and I haven’t seen the others. Somehow, I never got to the Martian in theaters, so I didn’t see it until 2016. I’m fan of both Deadpool and Dr. Strange in graphic novel form, which probably lends to my appreciation. If you found Rogue One long, clearly you have never marathoned the three LOTR director’s cuts 🙂 Fantastic Beasts was very pretty, but insubstantial. Pretentious is a good word to describe Arrival. I actually have marathoned the LOTR cuts! But instead of watching them as massive movies, I watched it like a TV show in 1 hour intervals. Great list Jo, certainly some films I need to check out. I think Waterston played the mother of Steve Job’s daughter? Enjoyed the read. Yes she did, I just changed that- thanks! I found Hell or High Water hard to get into. The film just didn’t engage me at all. I thought the brothers weren’t very well developed so it was hard to care for either of them. I would put Hacksaw Ridge as one of the top tens. Andrew Garfield was excellent. I also would’ve added Manchester by the Sea. That movie had very good acting and well developed characters, along with Fences.